Kinloch Partners, LLC is a leader within the Build to Rent, Single Family housing markets. We are focused exclusively within the greater southeast United States where our industry experience dates back to houses completed and leased nearly nine years ago in Nashville, Tennessee that continue to be 100% leased today. 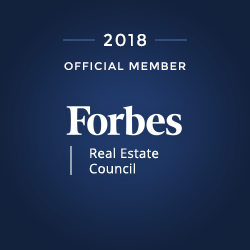 We are aggressively growing our business and have been recognized as a leader in the single-family rental industry within multiple publications including the New York Times, Wall Street Journal, and several other publications. We are currently building brand new four and five-bedroom houses in the greater Atlanta, Nashville, Greenville, and Raleigh areas and have the capacity to offer 150-200 homes per year. We continue to acquire high value, developed residential real estate in select counties suitable for implementation of our Build-to Rent model. In addition to managing our in-house portfolio, we are engaged with private equity funds, hedge funds and REIT’s that have an interest in buying fully stabilized portfolios of new homes. Our service is different from our competitors in that we offer a turnkey program with a 2/10 warranty, a new tenant that has passed a rigorous credit and criminal background check, and a 12-month lease complete with security deposits. We have averaged a 97.5% occupancy and low turnover rates on our houses which come complete with granite countertops, fireplace, and 2 car garages with door opener and mini blinds. Kinloch Partners, LLC is headquartered in Kennesaw, Georgia. Bruce W. McNeilage brings more than 25 years of financial and real estate investment experience to his role as CEO of Kinloch Partners. In the past 12 years, he has invested in more than 450 properties and sold more than 150 properties throughout Georgia, Florida and Tennessee. McNeilage specializes in boosting occupancy rates and lowering operating costs by renovating and managing apartment complexes and large portfolio single family assets. His time tested proprietary techniques help create immediate positive cash flow and long-term growth in value for his properties. He has consistently delivered 15 to 20 percent returns annually for his investors. Prior to launching Kinloch Partners, LLC and Kinloch Homes, LLC, McNeilage was a Chartered Financial Consultant with Wealth Management Group of Tennessee/LPL Financial and was Managing Partner with Wealth Management Group of Florida, Inc./LPL Financial. He has had his securities license for nearly 25 years. McNeilage holds Bachelor of Science degree in Economics from Florida State University. He also studied Risk Management and Insurance. Bruce had a Series 7 and he is also a Chartered Life Underwriter and Chartered Financial Consultant. He is a past board member of the Estate Planning Council of Broward County, the Broward County Planned Giving Council and a life and qualifying member of The Million Dollar Round Table and qualifying member of The Top of the Table. McNeilage is also a recipient of The National Quality Award and an alumnus of Leadership Broward Class XIII. He also is a recipient of the Price Waterhouse & South Florida Business Journal’s “Up & Comers” Award in 1997. In November 2001, he was nominated to receive Northwood University’s “Entrepreneur of the Year” Award for Broward County and he received their award for “Outstanding Sales Growth” in South Florida. In 2002, Governor Jeb Bush appointed McNeilage to the Board of Directors of the Florida Prepaid College Plan. Active in Republican politics, he has served as Finance Chairman of the Broward Republican Executive Council. He is a resident of Kennesaw, GA and Brentwood, TN is married to Melanie McNeilage and is a father of three.